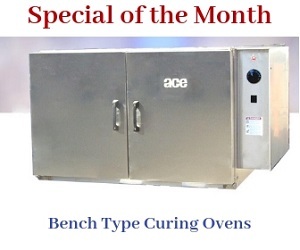 The ACE rotary drying oven is one of the leading drying ovens available in the market. These ovens enable quicker metal discovery without oxidation system. Our heating and drying ovens possess energy efficient design, and provide high throughput at lower operating costs. The ovens provide continuous drying and require minimal operator intervention, which helps reduce labor costs. Also, these equipment can be easily adapted to new processes, and are ideal for drying metal chips in a small footprint. 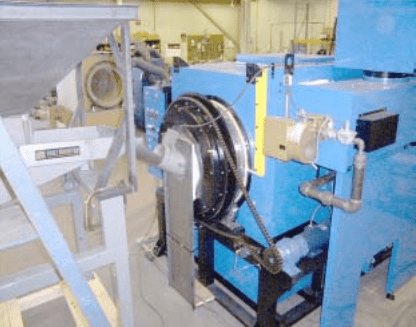 The rotary drying oven from Armature Coil demonstrates a fast and clean way of heating, cleaning or drying parts made from brass, stainless steel, aluminum, chips, and coated parts. These parts can be utilized again, or recycled easily. The oven provides a uniform heat with a lower, air temperature surrounding the oven. 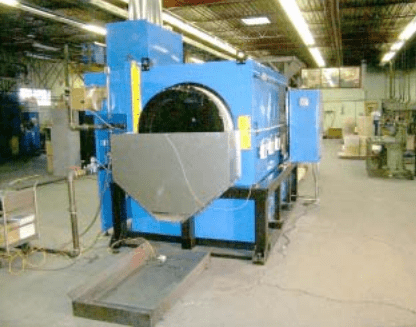 This rotary oven ensures instantaneous heat delivery, because it doesn’t require heating a large volume of air in the hot zone chamber before heating the load. The pick-up factor of the oven is practically zero. The advantage of this heating method is that the heat produced is absorbed completely by the process. This helps speed up the heating process and reduces thermal lag. Also, there is no heat transfer medium available, which further helps reduce heat losses. The rotary oven is a low-intensity infrared emitting type, which helps avoid damages caused by excessive heat. Thus, a load can remain in close proximity of the oven, without the fear of damage. Surface of the system is only 100ºF (37ºC) during the heat cycle. Load acts as a heat reservoir or sink, and helps reduce temperature sag when the heating system attains a low temperature. The retort heating system is easy to install and maintain. There are multiple holes in the hot zone of the retort, which allows heat to enter. This forced convection heat provides overall uniform heat. The system is made from high-quality, durable materials like 11 GA steel. This helps improve the shelf life of the product. Short Time Cycles: The oven control panel is equipped with a speed control knob, which enables an operator to adjust the speed of rotating retort. The speeds of material may vary. Average time cycles range from 4-30 minutes under normal operating temperatures, depending on the quantity and type of the combustible load. No Air Pollution: The afterburner chamber is designed to accommodate excess air. The air offers complete combustion of the effluent. Harmless byproducts are discharged to the atmosphere, conforming to EPA air emission standards. Robust Construction: The oven is made of heavy-duty steel, and coated with rust, corrosion, and high temperature resistant paint. Additionally, the oven is coated with the state-of-the art insulation, which is rated for 2,300 ºF (1,260 ºC). This insulation also runs through afterburner exhaust stack, thereby offering maximum energy efficiency. The retort of the oven consists of a heat resistant, heavy wall, stainless steel tube. This tube has an internal flight, which moves the process material from the in-feed zone, and out-feed zone. Easy Controls: This oven is equipped with a programmed digital microprocessor for controlling temperature. Additionally, there are thermocouples present in the three-zone chambers to sense retort temperatures. The temperature controllers and thermocouples are interfaced together. All the above-mentioned features have contributed to the immense popularity of ACE industrial rotary drying ovens. Also, being a heat cleaning oven without air pollution, the ACE rotary oven is becoming a choice in a wide range of industries. Please contact us today to know more about this oven.